Mood Lighting (also known as Uplighting or colour wash) can be used in most venues to add a splash of colour to a room with plain decoration such as white or cream painted walls, as well as accentuate building features like pillars and alcoves. It adds an extra WOW! factor to your wedding, corporate event, christmas party, student ball and many other types of event where a stylish, elegant look is required. 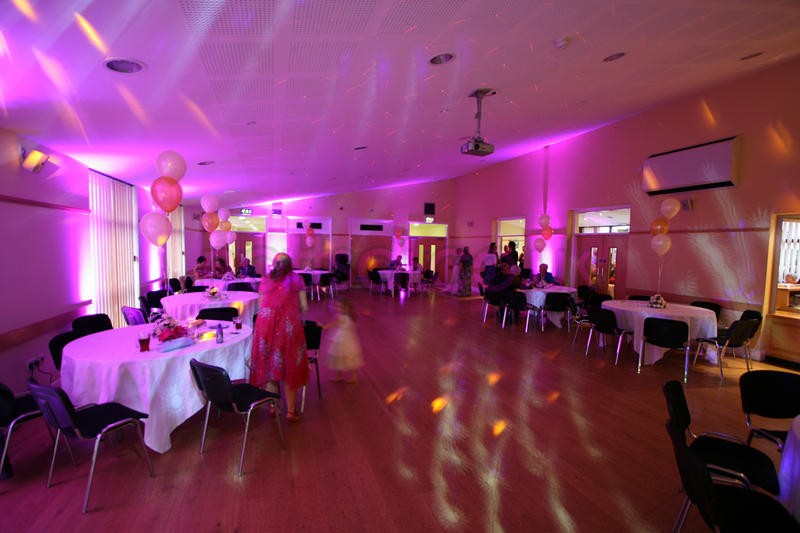 The uplighter units can be matched in colour to any theme or colour scheme you may have in mind, and almost any colour can be set, or if you prefer, they could be set to cycle through different colours in time to the music, or set to alternating complementary colours (such as pink and blue). Basically, if you have a colour scheme in mind, we can probably create the look you desire! Prices start from as little as £100 when booked in conjunction with another service (such as Photo/Video Projection, or as your Wedding DJ) or £150 if booked as a standalone package. If you want to see how they look in your chosen venue, just mention you would like a demo when you arrange a meeting to book me as your wedding DJ, and I will bring some demo units so you can see them in action. 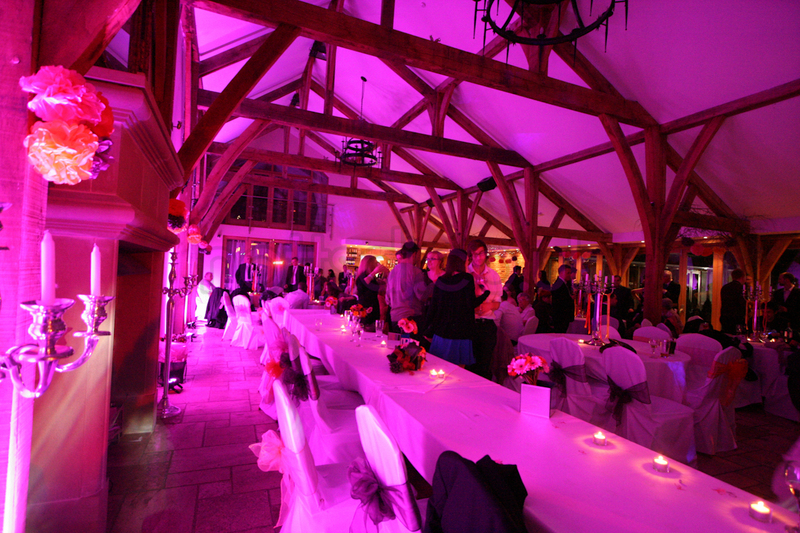 Lighting can be set to a single static colour or to chase through various different colours at variable speeds and fade times between each colour. Each Unit is small, discreet, and gives out a huge amount of light for such a tiny unit, as well as using very little power compared to traditional buld-based units. They also don’t get hot, so are safe to use around children! 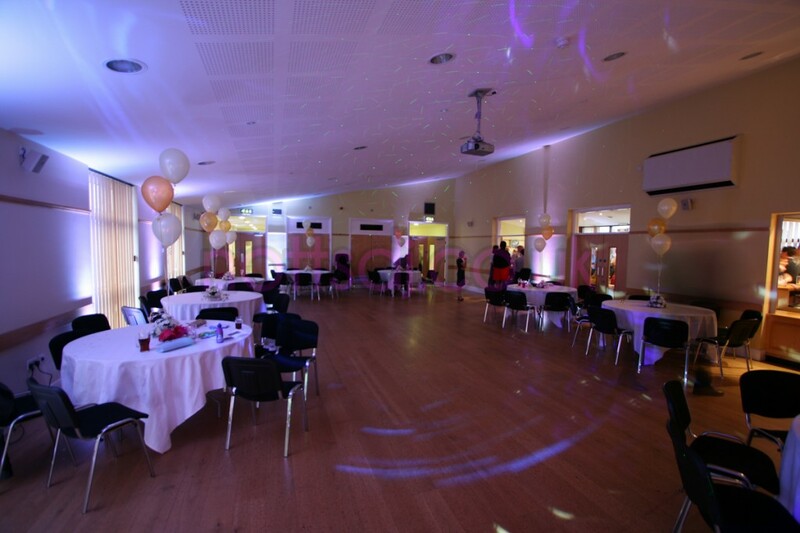 The uplighting will help create the mood and the ambience you require and can easily (and quickly) be set to match your events colour schemes and style. Only want to have them on just before your first dance? Not a problem. the units are remote controlled, so can be turned on just before your big moment to add an extra wow factor!